The Biennial of the Americas kicks off this week in Denver. The Biennial was launched in 2010 by then Denver mayor (now Colorado governor) John Hickenlooper as a grand forum for talking about politics, education, business, the arts, and other subjects of interest to citizens. This year’s Biennial theme is NOW!. It’s billed as an analysis of the present in light of the history that got us here and our plans for going forward. The three main organizing topics are Leadership, Business Trends, and Infrastructure. Several of these topics will be considered by a special panel of mayors (Denver’s Michael Hancock, Calgary’s Naheed Nenshi, and former Bogotá mayor Antanas Mockus) who will address “The Return of the City-State.” These civic leaders will discuss how cities are operating on the frontlines of many contemporary global challenges including growth, security, and trade. Back in February I posted an article I wrote for Novara Wire on protest mapping. 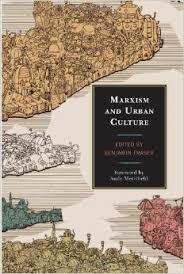 In it I mentioned I had a forthcoming article in a themed issue of Media Fields on ‘Spaces of Protest’. Since I mentioned it the issue still isn’t live. Until that time I’ve decided to upload the pre-publication author copy to my ‘selected publications’ page. If anyone is so kind as to reference it please do so as: ‘S. Hind (forthcoming, 2015)‘. I’ll post a link to the entire theme issue when it goes live – hopefully sometime soon. Needless to say, I’m looking forward to the other contributions. On the 9th July I was fortunate enough to Chair the AGI’s Future Cities Conference in London. Although smaller than other AGI events, due in no small part to the tube strike, the event fostered some highly original ideas and interesting conversations. There were a great deal of inspiring and challenging discussions and presentations which I believe will aid us in driving forwards with the strategic optimism required to create amazing future cities. All the talks are available on the AGI website for their members, but I have made my welcome address, summary and closing remarks available to all on YouTube for your interest. 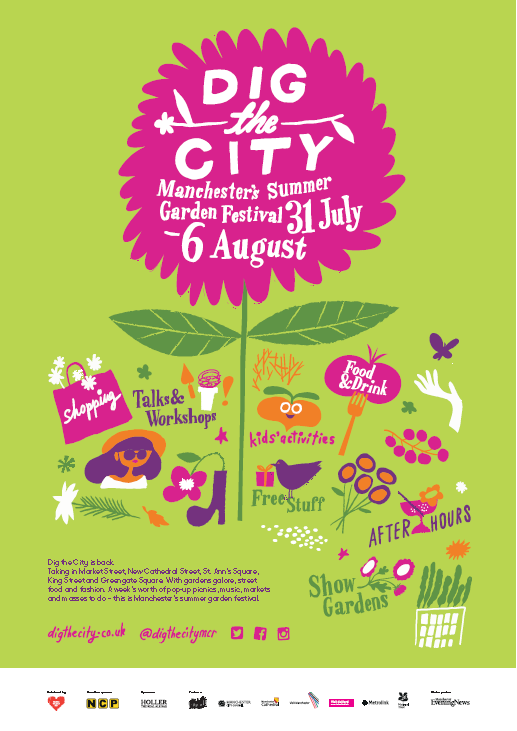 Dig the City is the largest urban gardening festival in the UK (see attached flyer). Amongst the show gardens, talks and other events, the University of Salford will be bringing Carrot City, the international exhibition on urban agriculture, to the festival. It is only the second time the exhibition will have appeared in the UK after a highly successful stint in Birmingham in 2012; this time it will be positioned in the Manchester Cathedral in the heart of the city centre (for more information see www.carrotcity.org and http://www.digthecity.co.uk/event/carrot-city/). Six months. Two wheels. 50 GPS doodles. 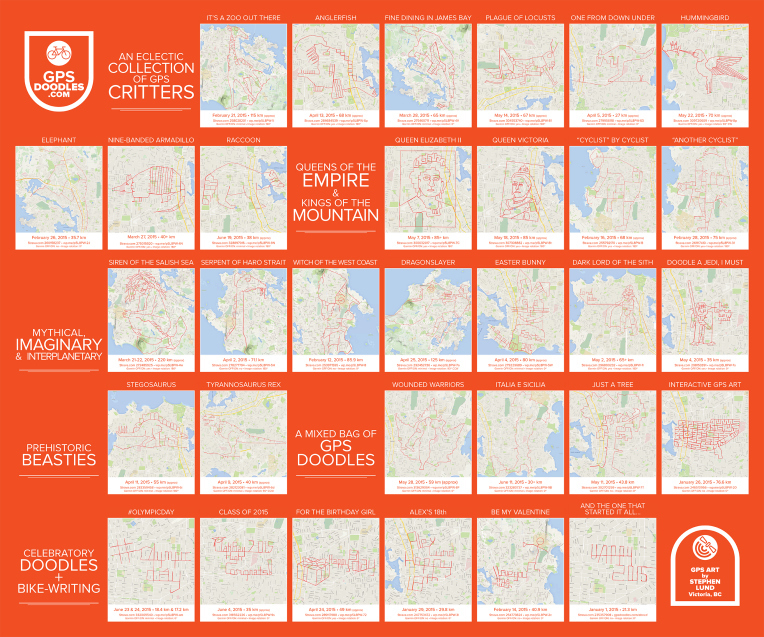 Since I started pedalling my art on the streets of Victoria on the first day of 2015, I’ve amassed a portfolio of 50 GPS doodles – 34 pictures, 11 bike-writing messages and five creations that comprise a combination of both. Click on the poster below to see 31 of my favourites…plus the one that started it all! Below the poster, I’ve included the link to each featured GPS doodle and its accompanying write-up.